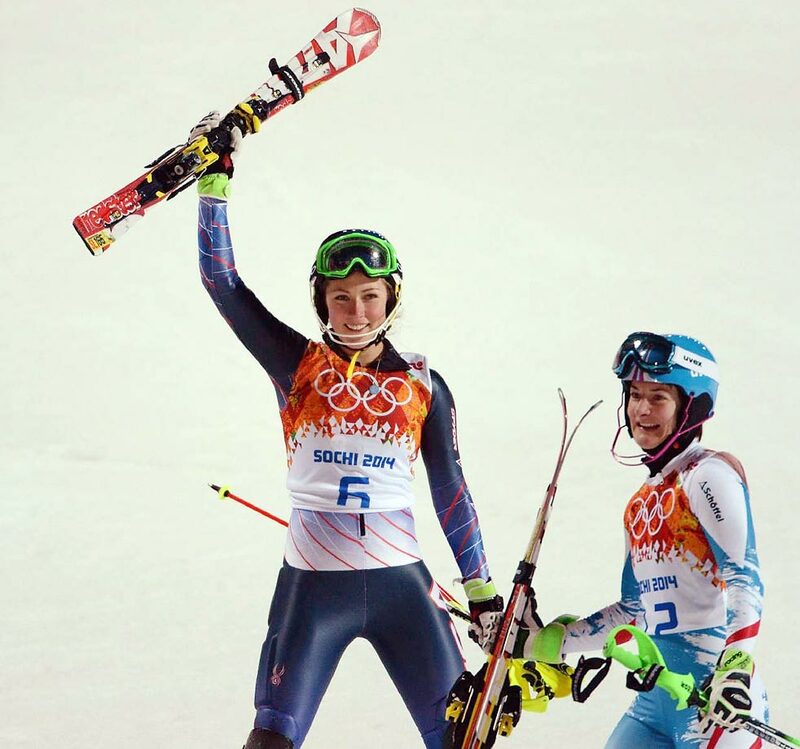 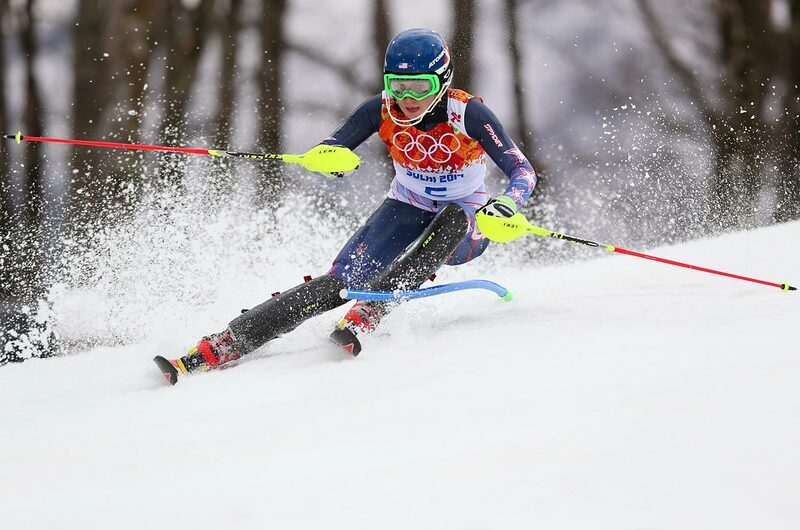 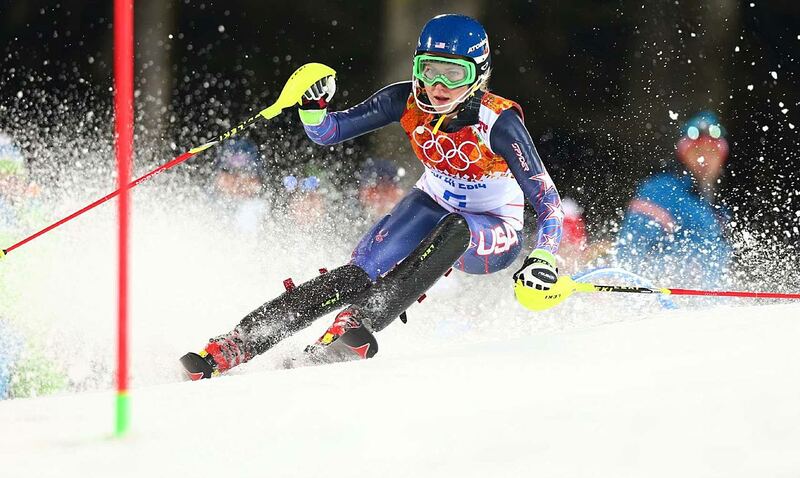 Mikaela Shiffrin, 18, made Alpine skiing history Friday as the youngest ever winner of an Olympic slalom gold medal. 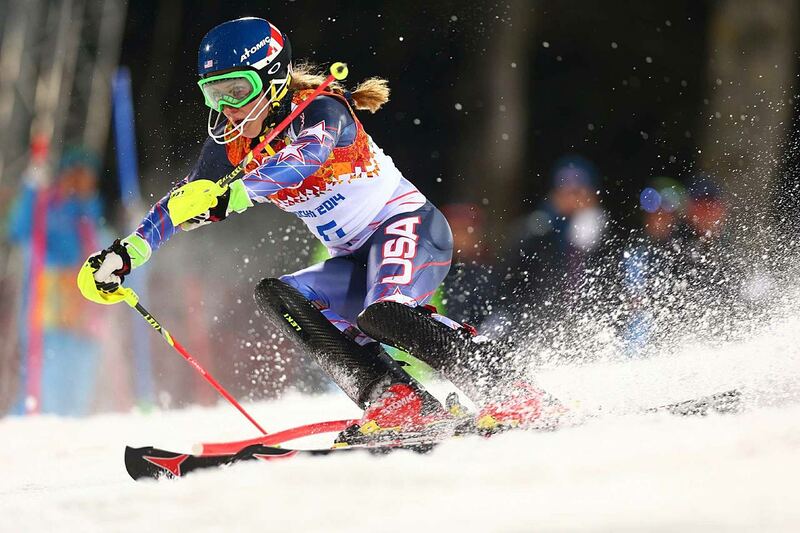 She took the early lead here in the first of two runs during the day. 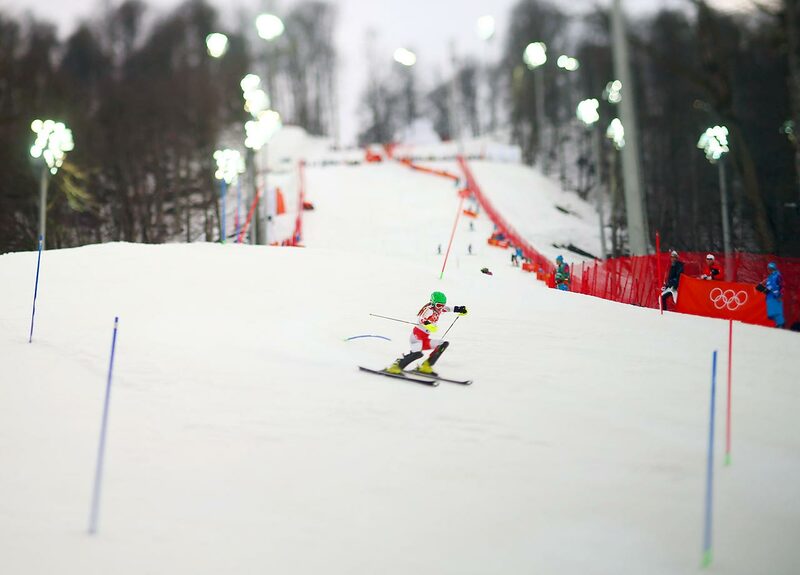 Combined with her second run (pictured), Shiffrin finished 0.53 seconds faster than Marlies Schild of Austria, one of Shiffrin's childhood favorites. 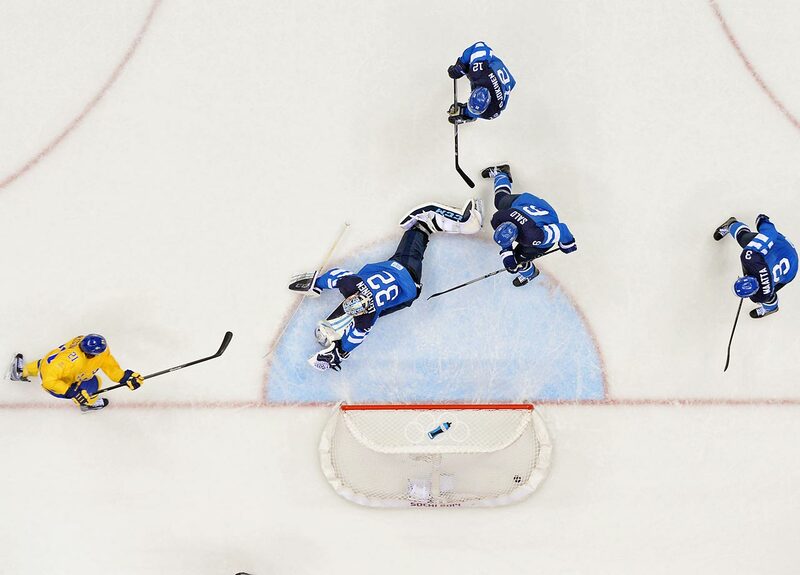 U.S. goalie Johnathan Quick turns to see if a shot by Jamie Benn finds its home. 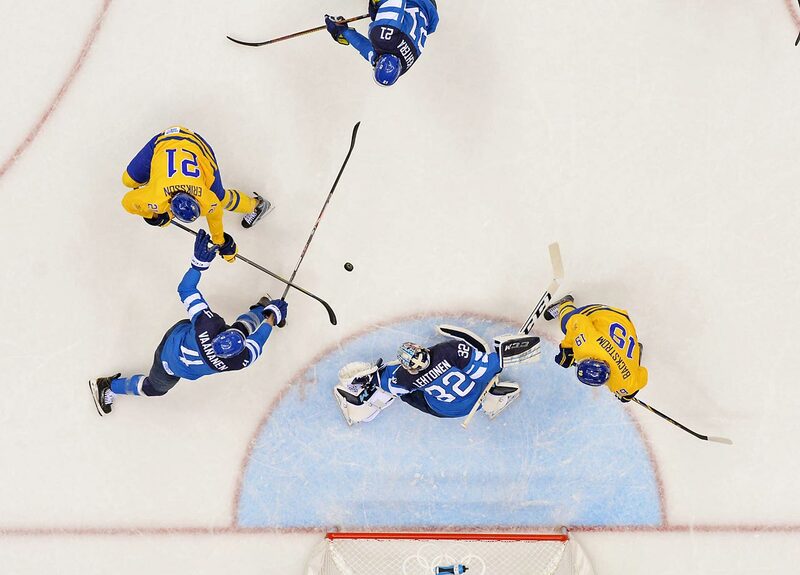 Benn's second-period score gave Canada a 1-0 lead, the only point scored in the semifinal game. 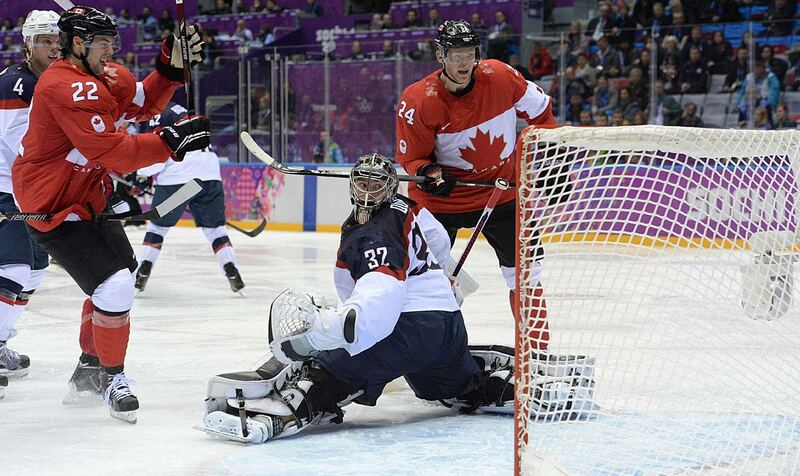 Jamie Benn and Corey Perry react to the first and only score of the semifinal game between the U.S. and Canada. 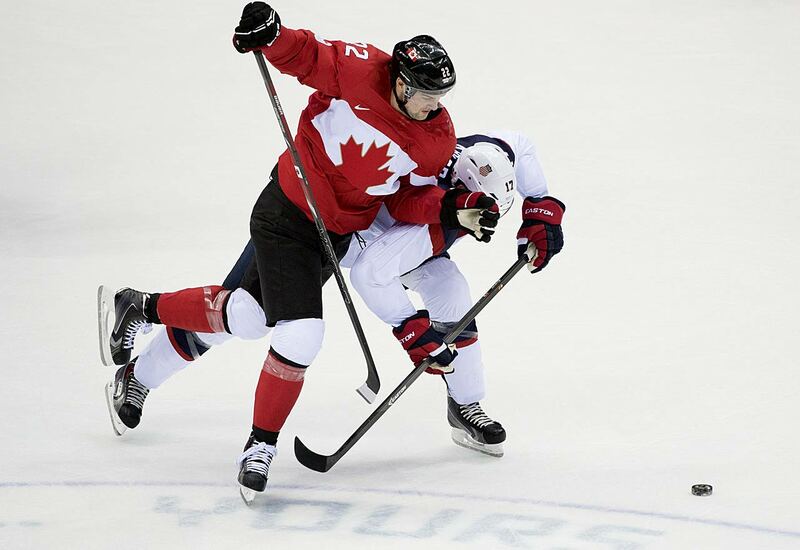 Ryan Kesler battles Jamie Benn during a loss that dropped the U.S. into the bronze-medal game against Finland. 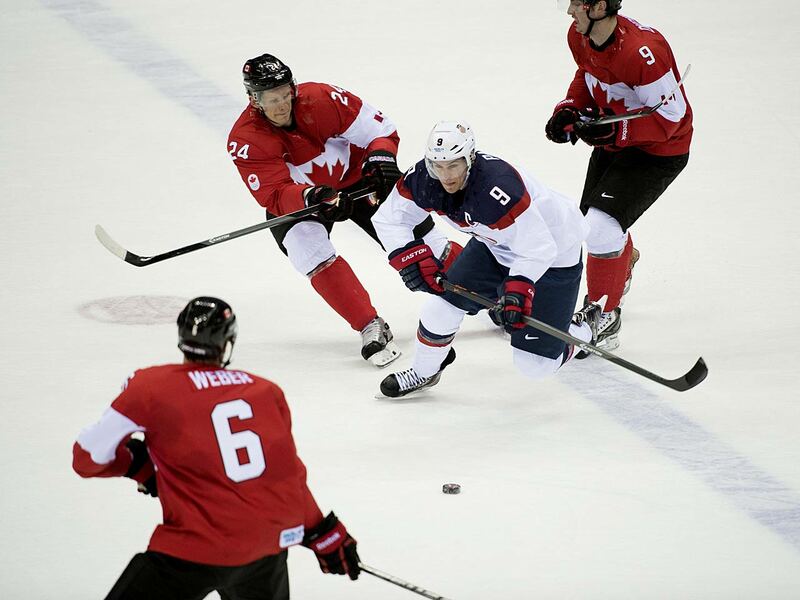 Zach Parise tries to maneuver through Canada's defense on a night when the U.S. was unable to establish any sort of presence in the attack zone. 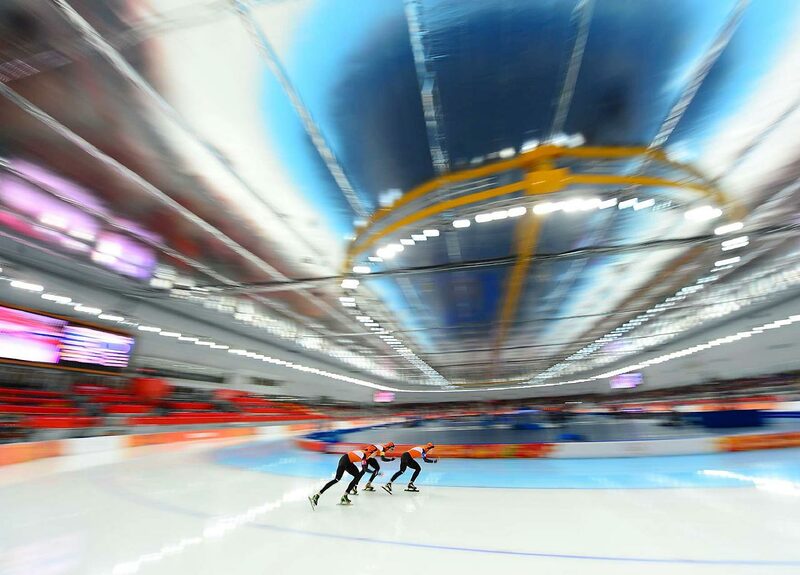 Overall view of the Team Pursuit on Friday. 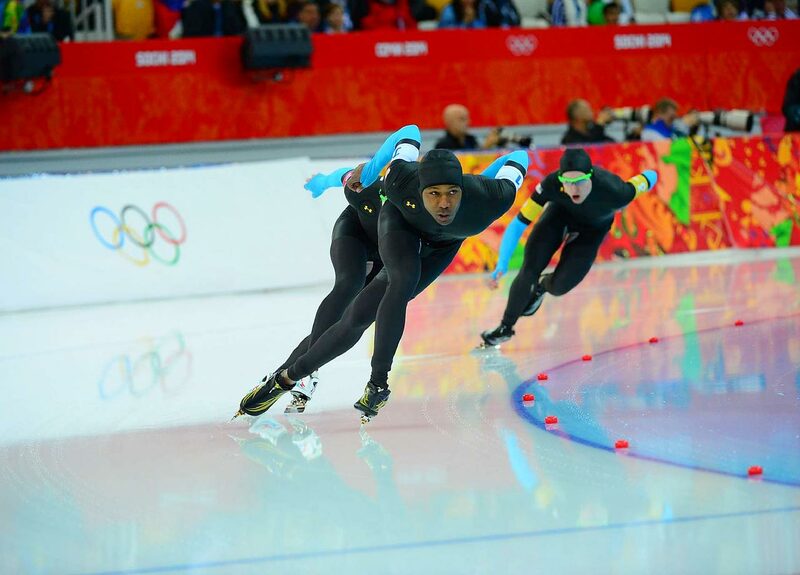 Shani Davis and his teammates lost in the team pursuit, relegating the U.S. to Saturday's ''D'' final, which will decide the last two positions in the eight-team field. 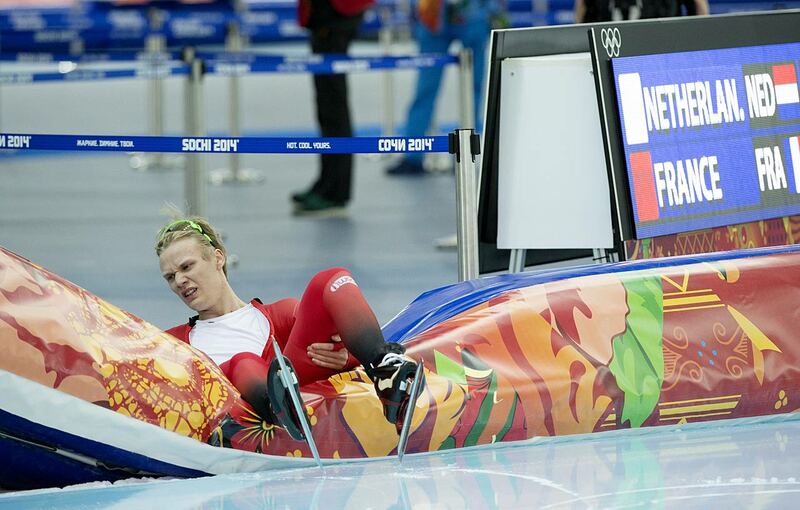 Aleksandr Rumyantsev, Ivan Skobrev and Denis Yuskov of Russia won their heat in the Team Pursuit. 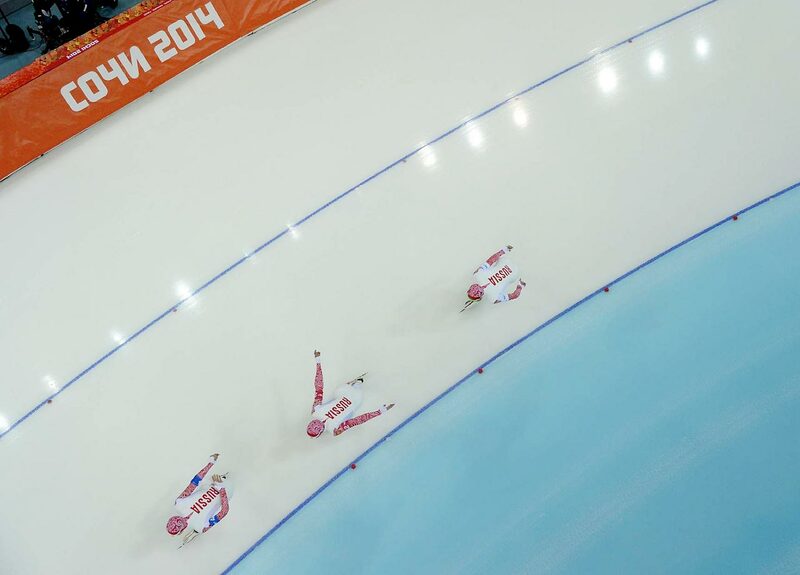 Havard Lorentzen of Norway gets a sense of his surroundings after crashing during the speed skating competition. 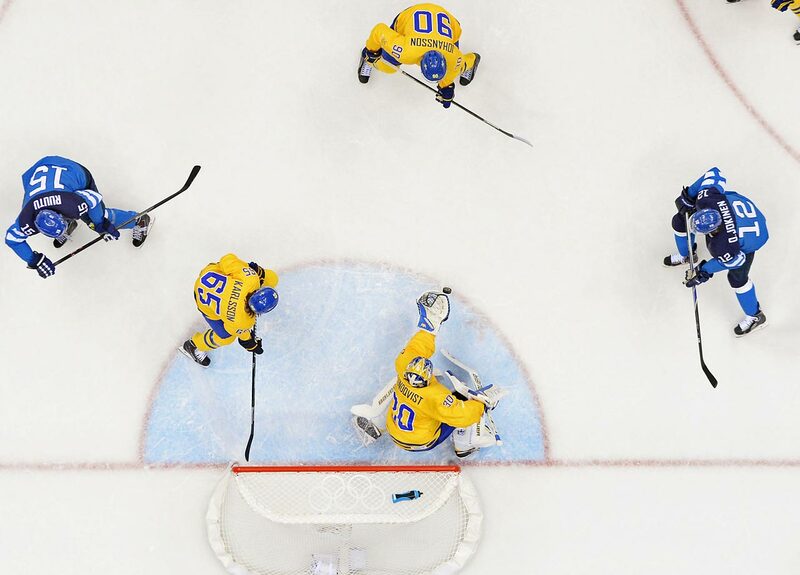 Henrik Lundqvist of Sweden stopped 25 shots, lifting Sweden over Finland 2-1 and into the gold-medal game. 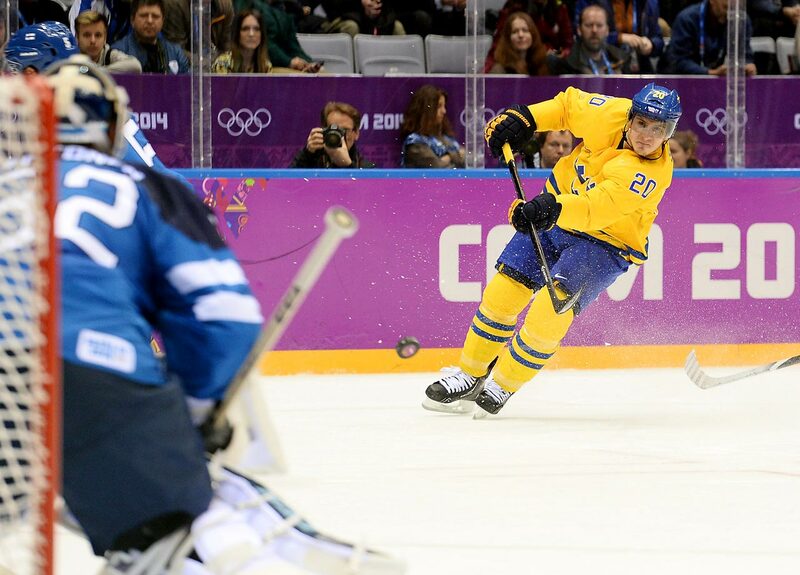 Loui Eriksson (21) scored once for Sweden, which will play Canada for the gold medal. 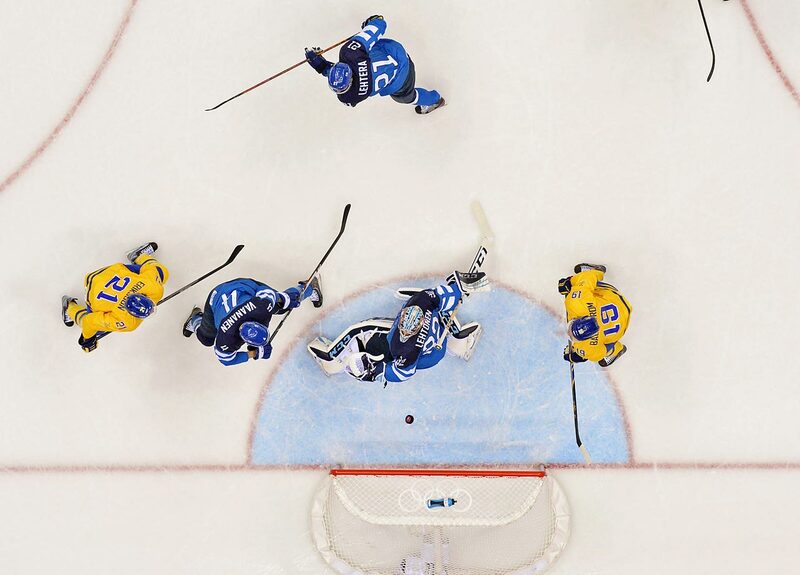 Alexander Steen takes a shot. 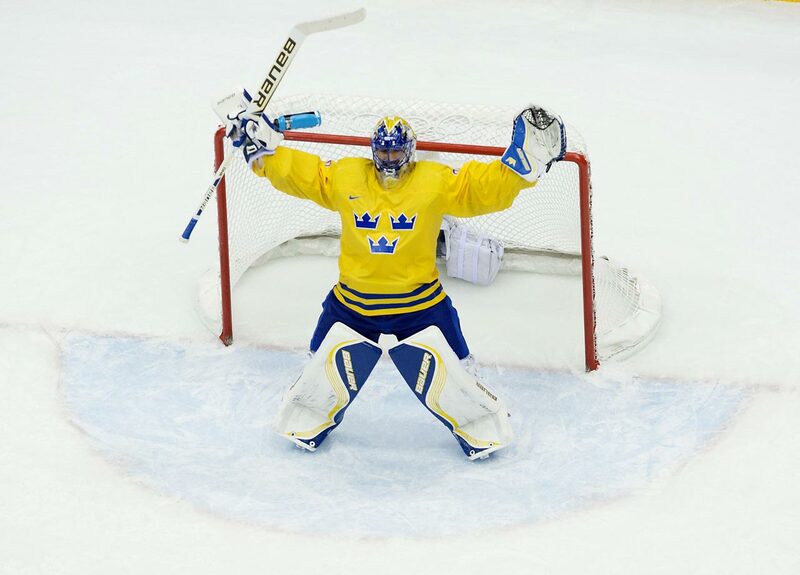 Henrik Lundqvist celebrates the win against Finland. 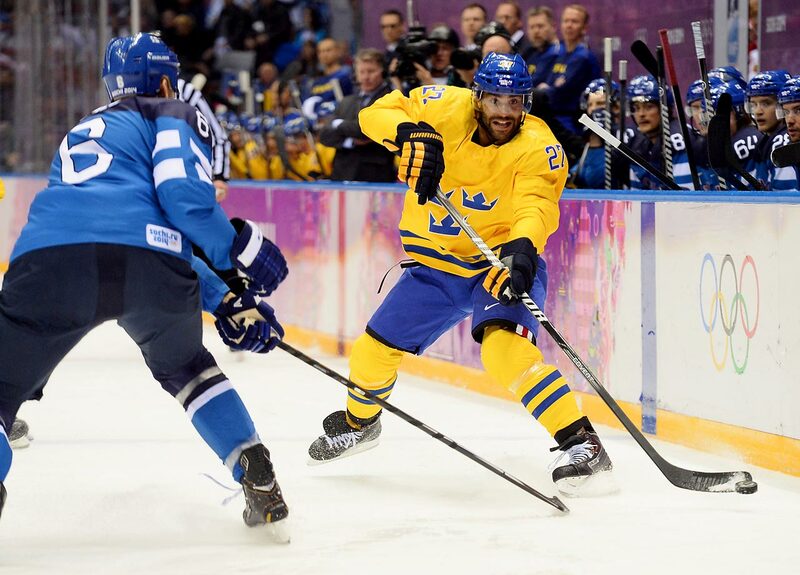 He led the Swedes to gold eight years ago, when they beat Finland in the finals of the Turin Games. 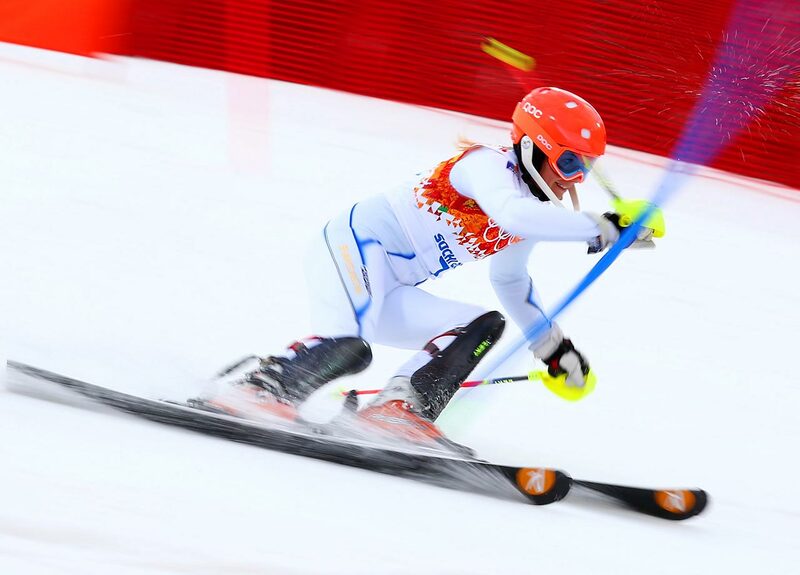 Brittany Phelan of Canada takes her first Slalom run.